The foundation laid in the year 2001 with 75 students by Al-Furqan Educational Trust, with the motto of imparting Quality Education & Youth Empowerment. The school is providing all round development with utmost concern having dedicated team of teachers who are rendering best services in upbringing the students enhancing their hidden talents. Its a platform for students to grow & and shine in educational aspects. - Ideal where the “Skills Are Developed"
We have been able to position ourselves among the leading schools in BasavaKlyan, Dist Bidar, Karnataka through our offered quality school education and world-class infrastructure facilities. Our institution has been appreciated for over the years by numerous parents owing to our excellent services and strict discipline level. The three strayed building with basement provides an exemplary ambience for different kinds of activities. 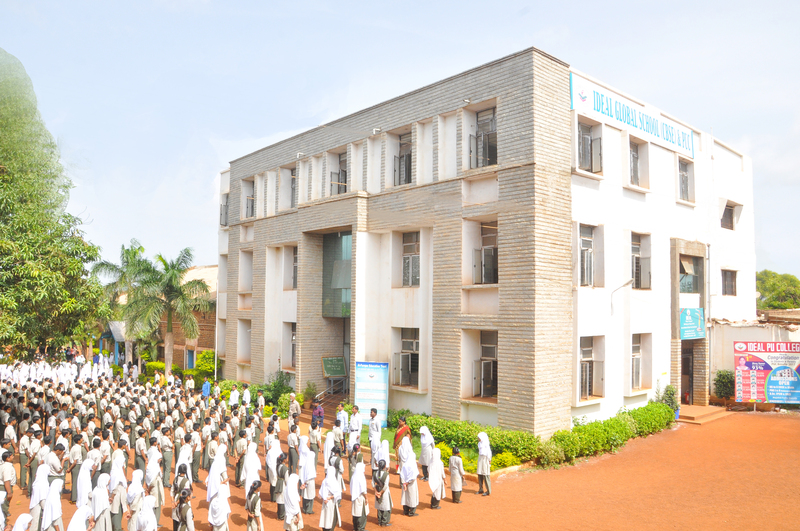 The school provides state of the art infrastructure and amenities supported by the commitment and experience of the management. And a composite science labs for primary students. For our little tiny-tots the infrastructure also comprises of separate nurseries for transforming their innocent childhood into a wonderland of innovation and exploration. Sports playground and activities are an integral part of the school campus. We offer a wide range of choices and opportunities for both individual and group experiences, as well as for the development of life long skills and interest. Students select from as list of choices when they register for classes each term. Our school seeks to cultivate a sense of National Responsibility through its efforts to develop physical education a base for betterment of future generation. For this, Children are trained in Basket Ball, Volley Ball, Cricket, Football, Lawn Tennis, Hockey and many more. Keeping this in mind the school promotes and encourages a number of sports activities. In addition to the two periods a week compulsory allotted to physical education, four periods a week (from the 5th grade upwards) are allotted for club activities. Students may opt for any three activities from a given list. The sports activities available include tennis, football, basketball, volleyball. Professional swimming and athletic coaches are available to train the students and ensure that they become ace performers. In fact though the school is but eight years old our students have won laurels in inter-school competitions in swimming, football and basketball. After school activities are conducted for extra coaching on selected sports. Our school provides quality education to students from Nursery to class 10th. You should be a registered member of CareerAge.com to register with IDEAL GROUP OF INSTITUTION, BASAVAKALYAN.